RFID (radio-frequency identification) is the wireless non-contact use of radio-frequency electromagnetic fields, for the purposes of identifying and tracking tags attached to objects. 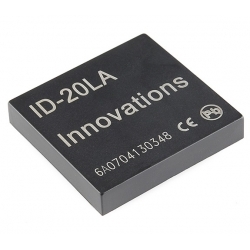 This is the ID-20LA, a very simple to use RFID reader module from ID Innovations. 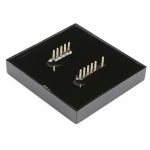 With a built in antenna, the only holdup is the 2mm pin spacing (breakout board available below). 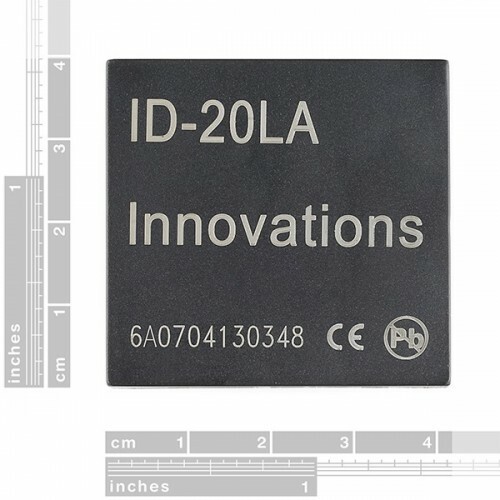 Power the module, hold up a 125kHz card, and get a serial string output containing the unique ID of the card. 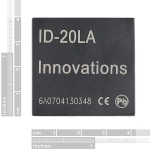 The new ID-20LA is essentially the same as the ID-20, but can operate over a wider voltage input.